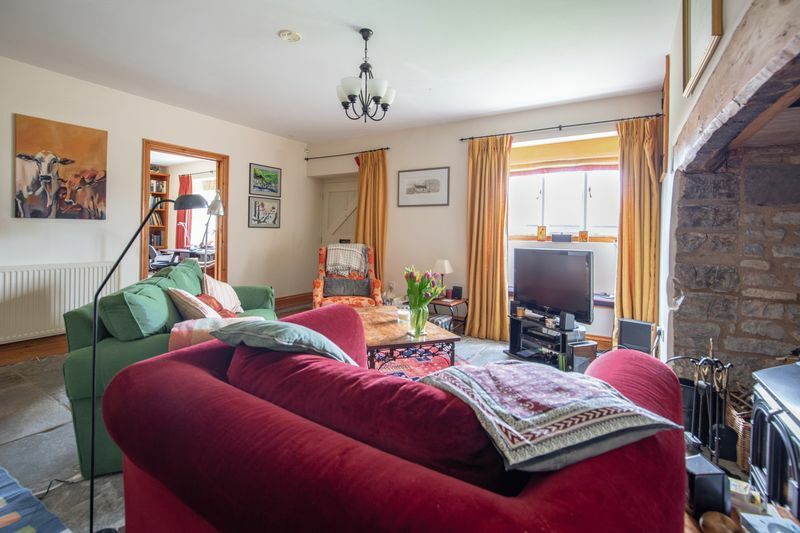 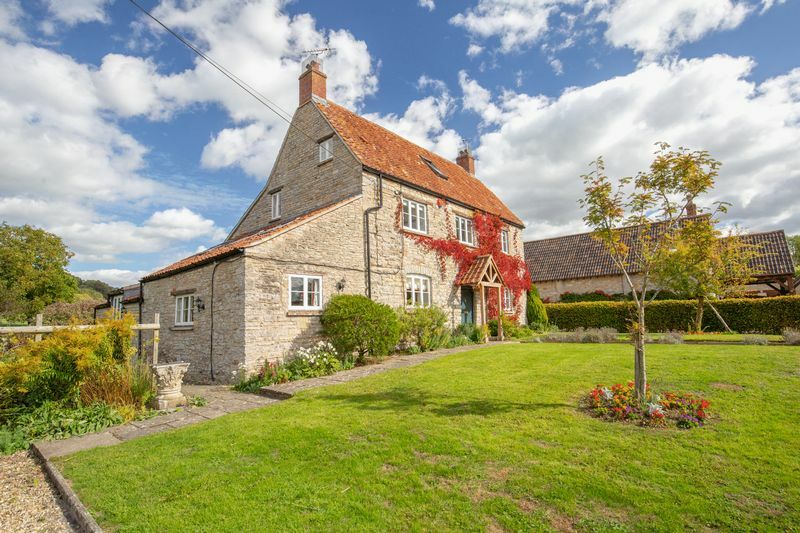 A delightful period property situated in a quiet rural village. 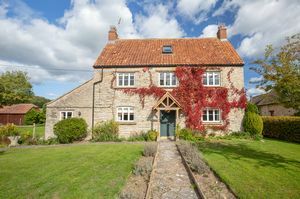 Generous accommodation with great charm throughout. 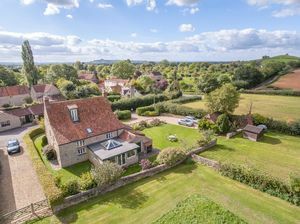 Garaging, mature gardens and paddock. 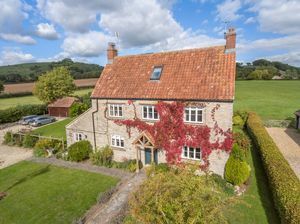 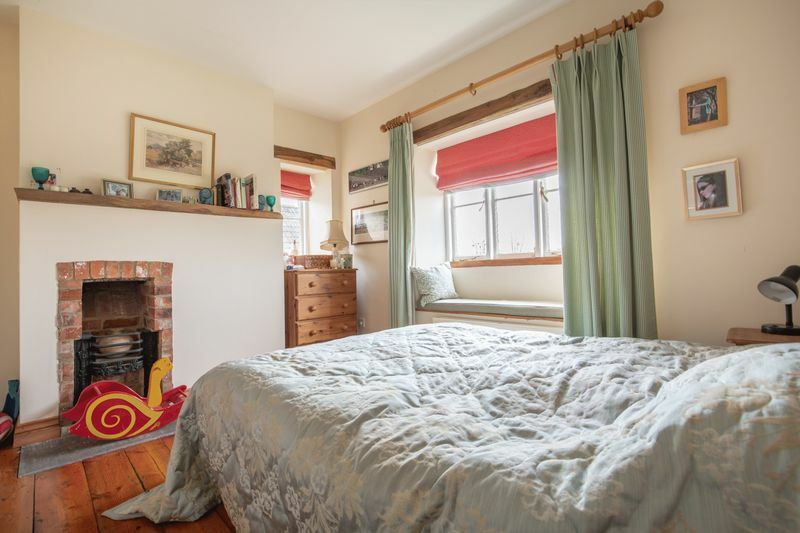 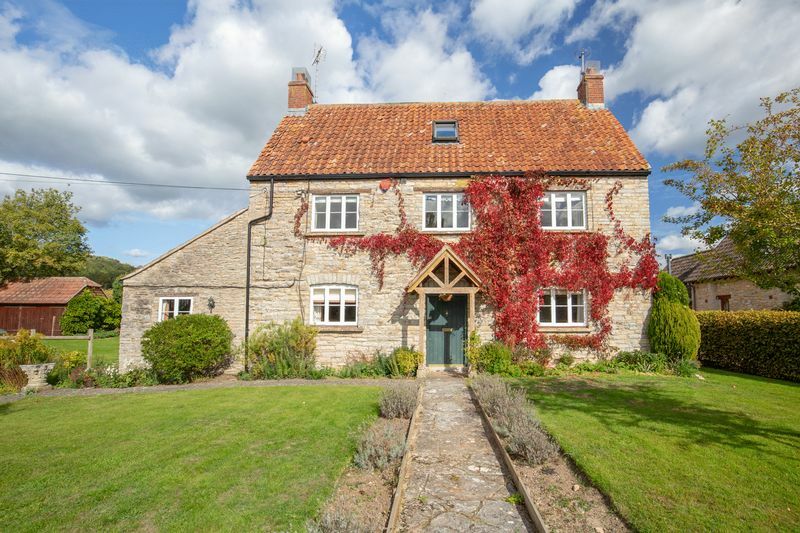 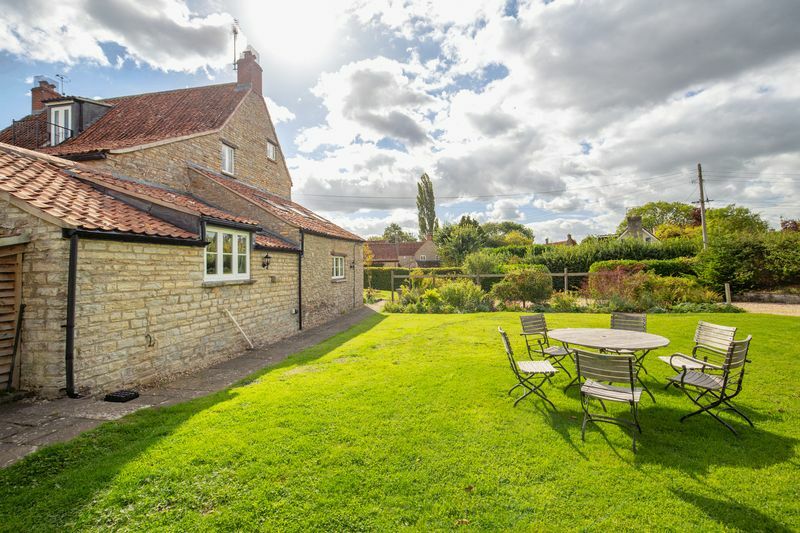 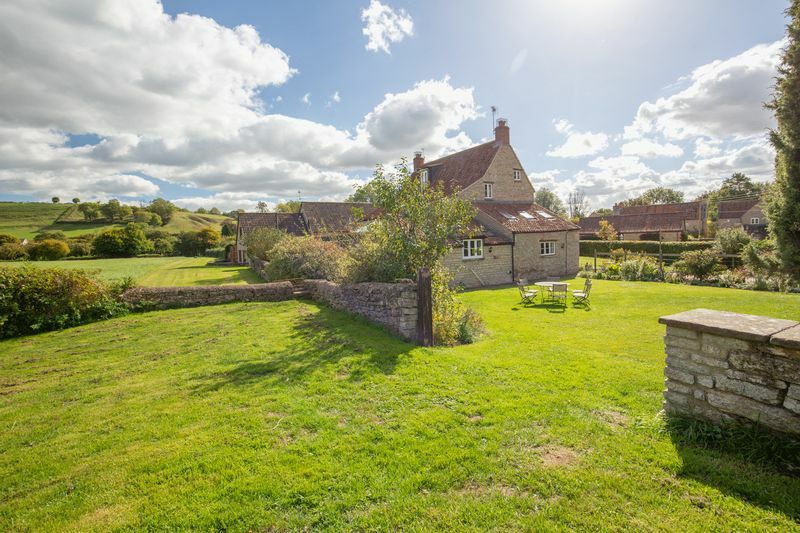 A delightful period property in a quiet rural village, well away from any busy road within a short drive of both Wells and Glastonbury. 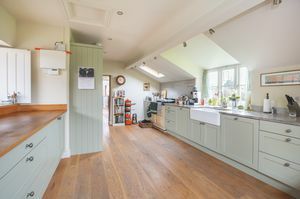 Generous accommodation with lots of great living space including several reception rooms, cloakroom, a well fitted kitchen with an Aga, utility/boot room, 4+ bedrooms and 3 bathrooms. 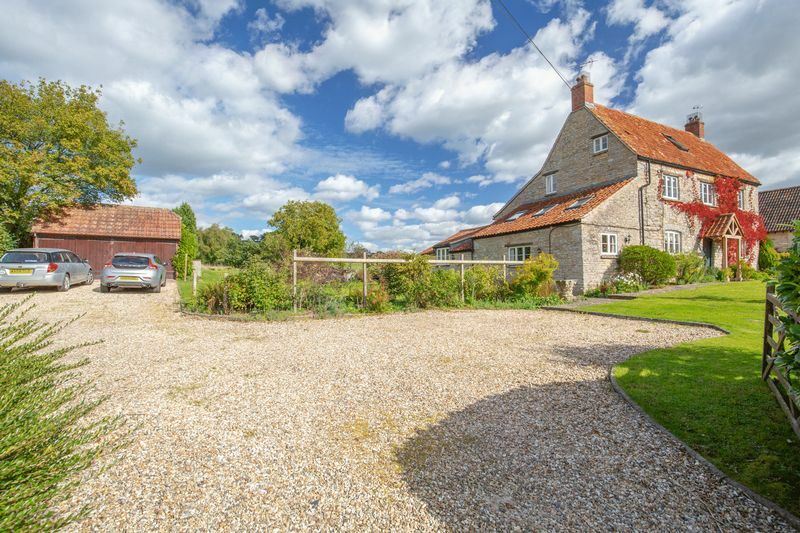 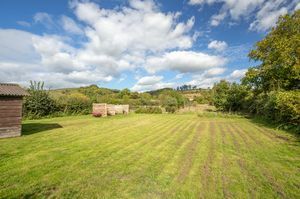 Outside is a double garage, plenty of parking space, mature gardens and a paddock. 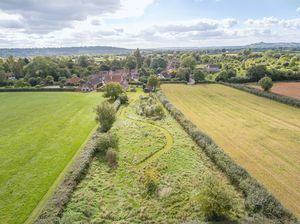 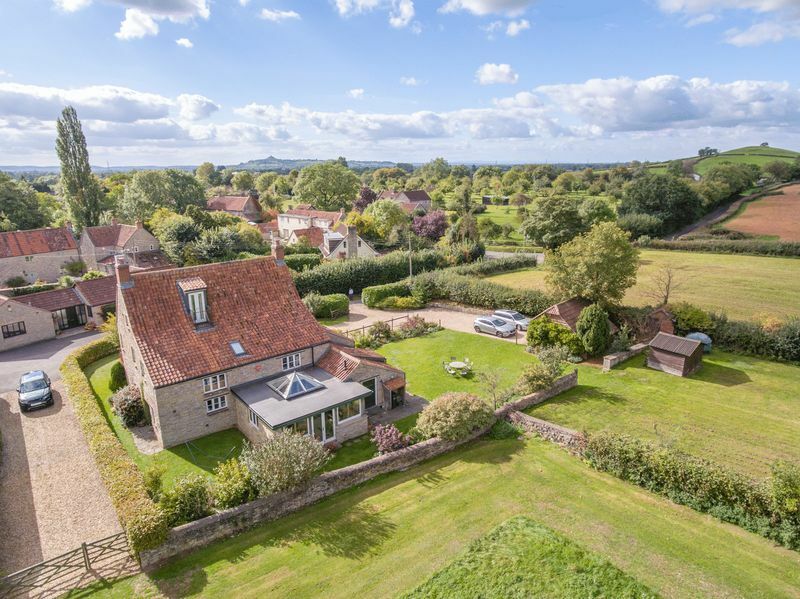 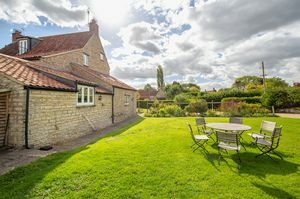 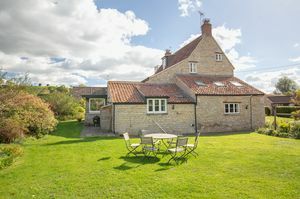 Stream Farm has a great location in this very popular village a few miles south of Wells approached off a "no through" lane and bordered by beautiful countryside. 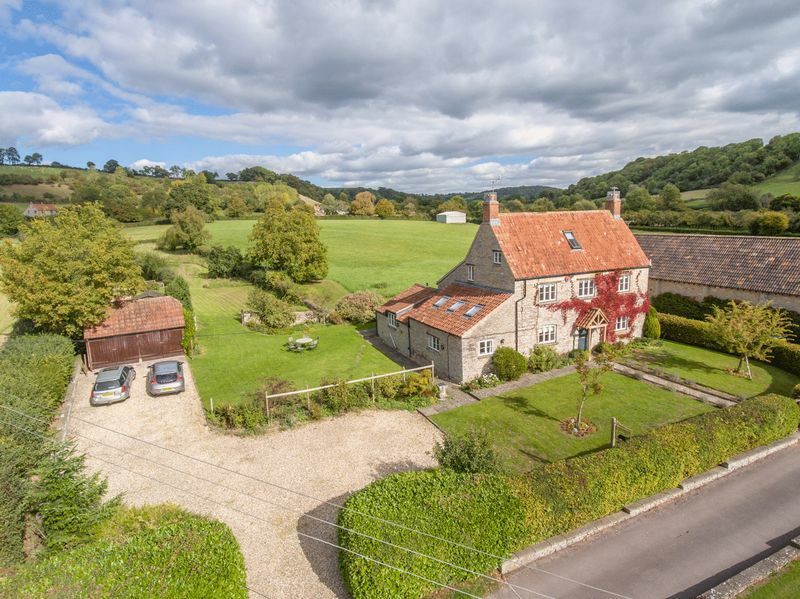 The house has great charm with its pretty gardens and lovely views. 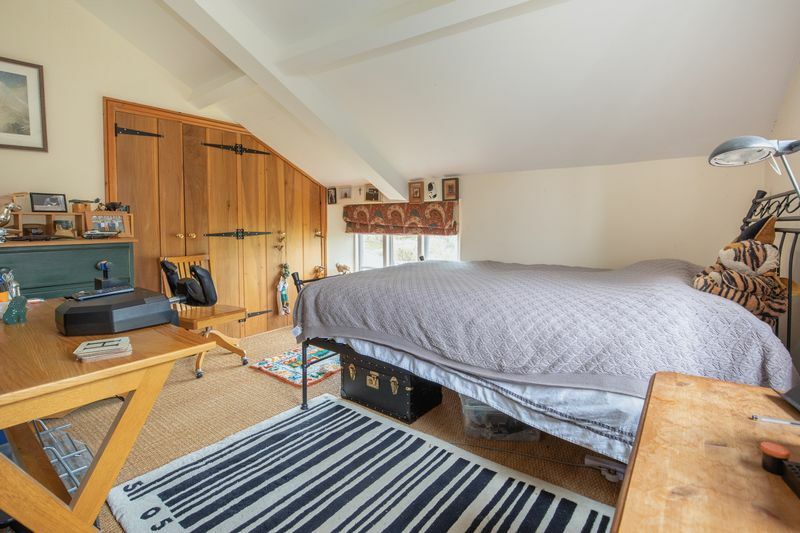 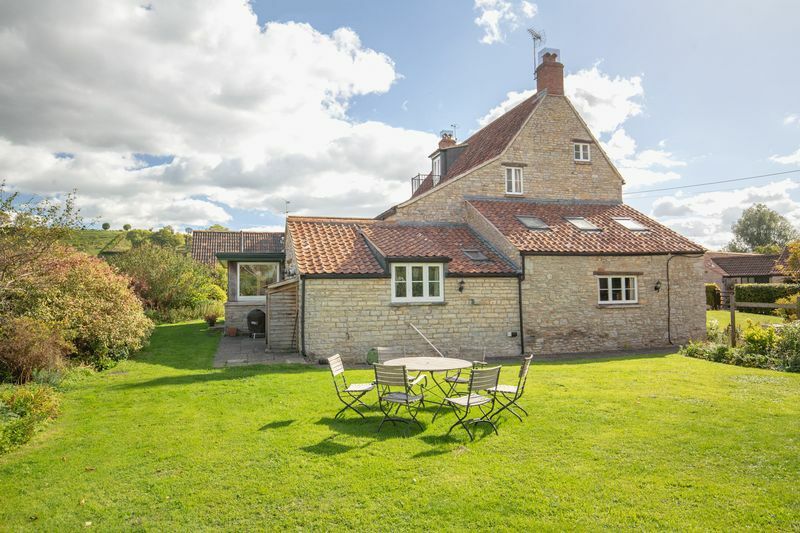 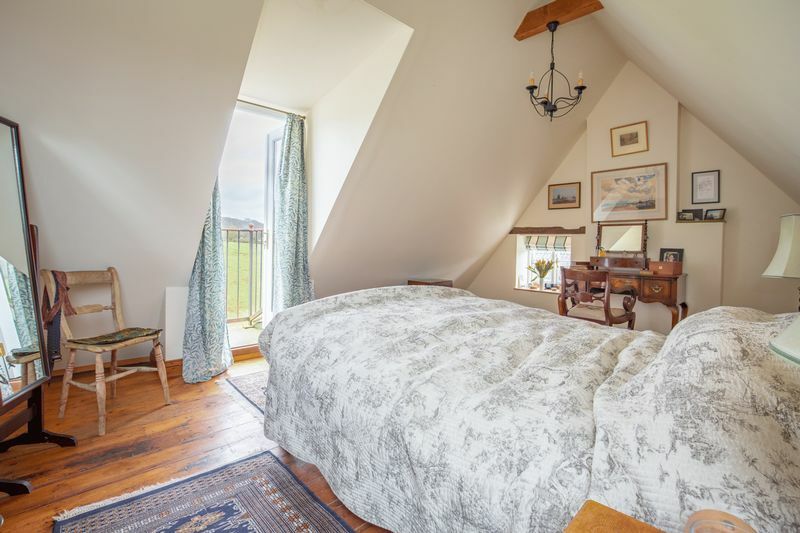 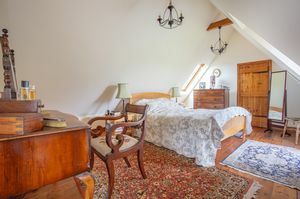 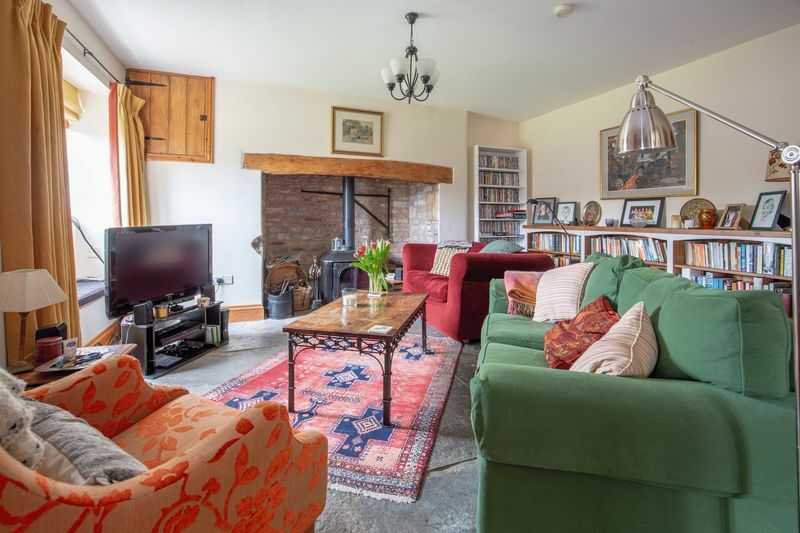 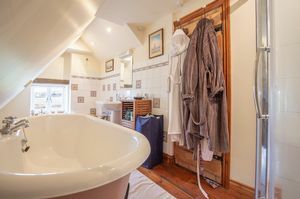 Extended over the years it combines period features including flagstones, beams, an inglenook and oak elm and pine timberwork with wood burners an Aga, oil central heating and well appointed bathrooms and kitchen. The accommodation is of a high standard and totals nearly 3,000 sq.ft with some flexibility. 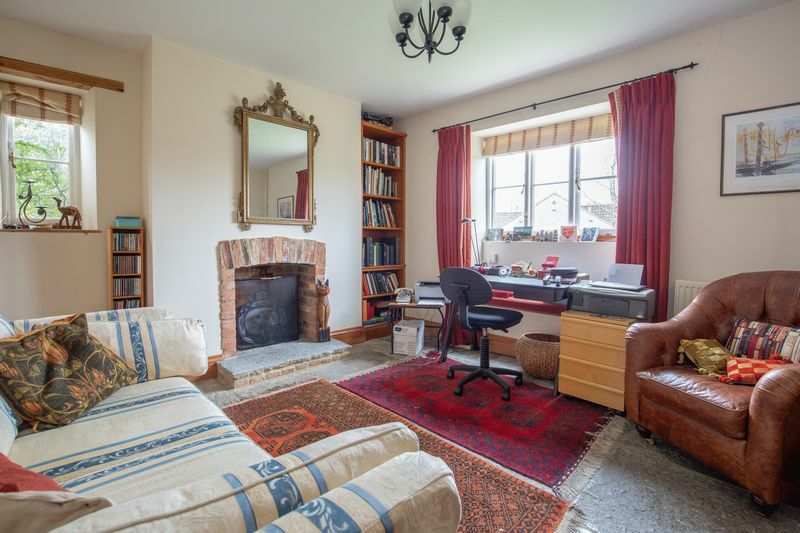 There are 4 bedrooms and 3 bathrooms together with 5 reception rooms on the ground floor and the present study can be used as a 5th bedroom if required. 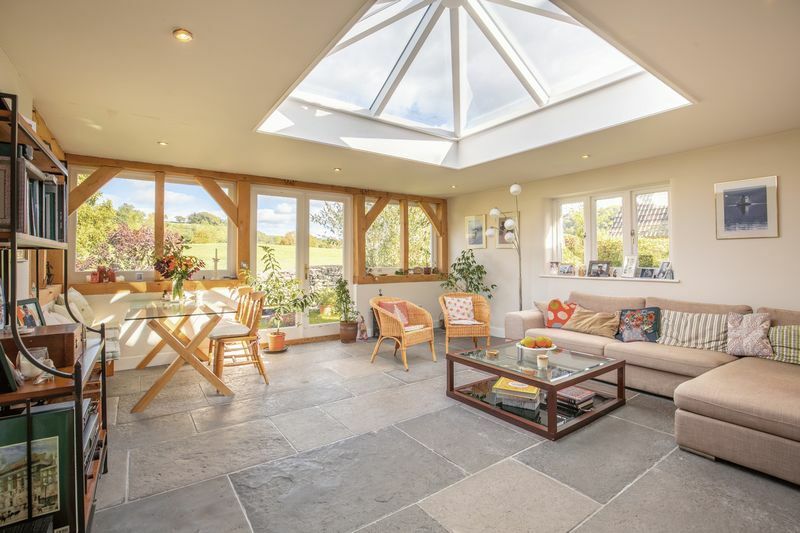 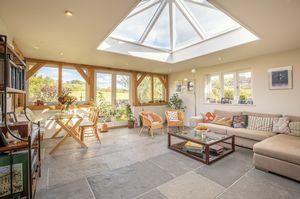 At the front of the house a green oak porch with a tiled roof protects the front door which leads into a comfortable sitting room with flagstones and an inglenook with a wood burner. 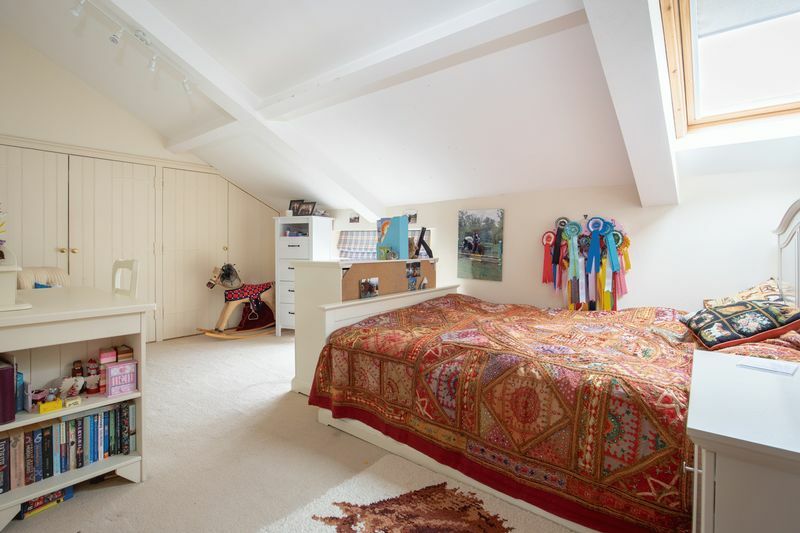 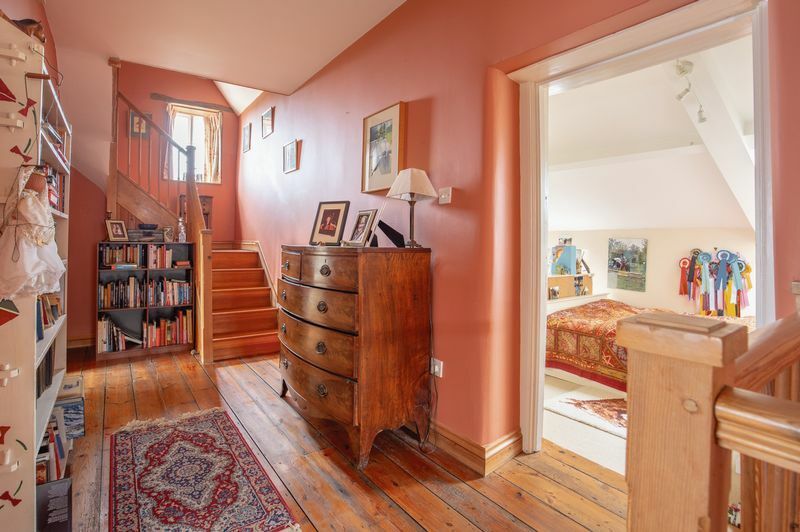 The adjacent study also has a fireplace and flagstones and can be used as a 5th bedroom. 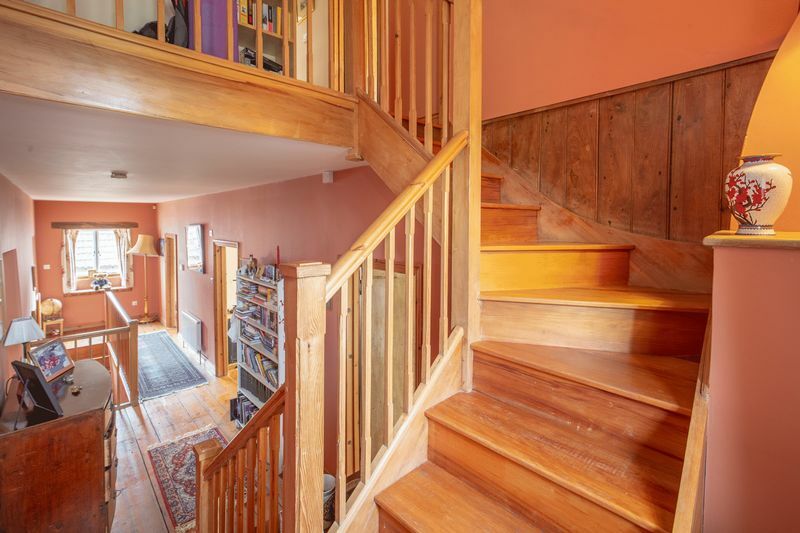 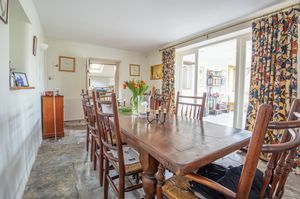 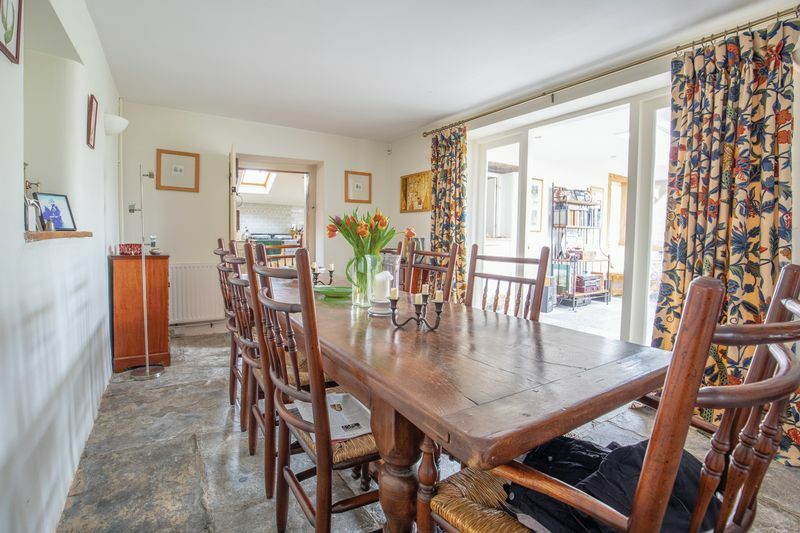 In the centre of the house is the dining room with a door into the garden room which is a really good living or entertaining area being very light and airy with french doors, windows on 3 sides and a lantern room which floods it with light. 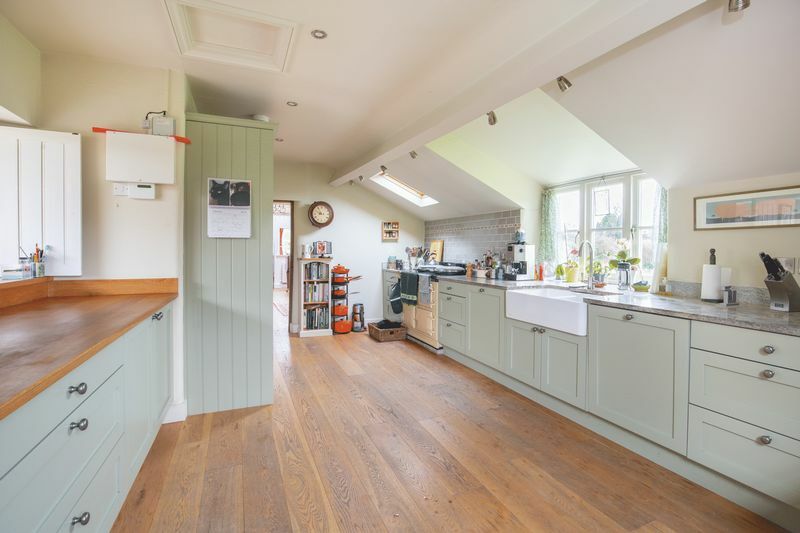 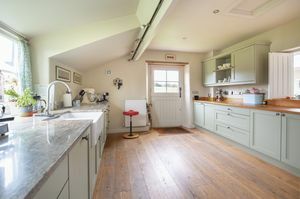 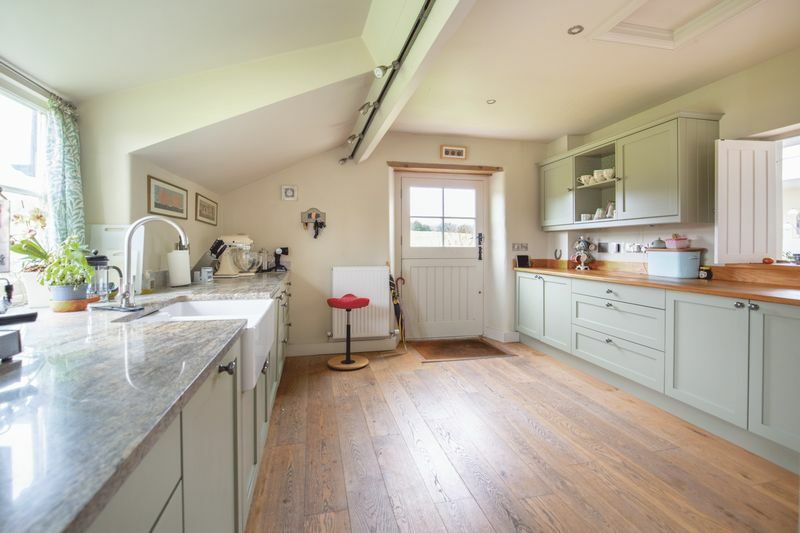 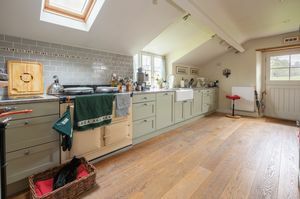 The kitchen has an oak floor, a double Butler's sink, a good range of fitted units (including a larder unit), granite and hardwood work surfaces and appliances including an electric Aga backed by tiling, dishwasher, fridge and freezer. 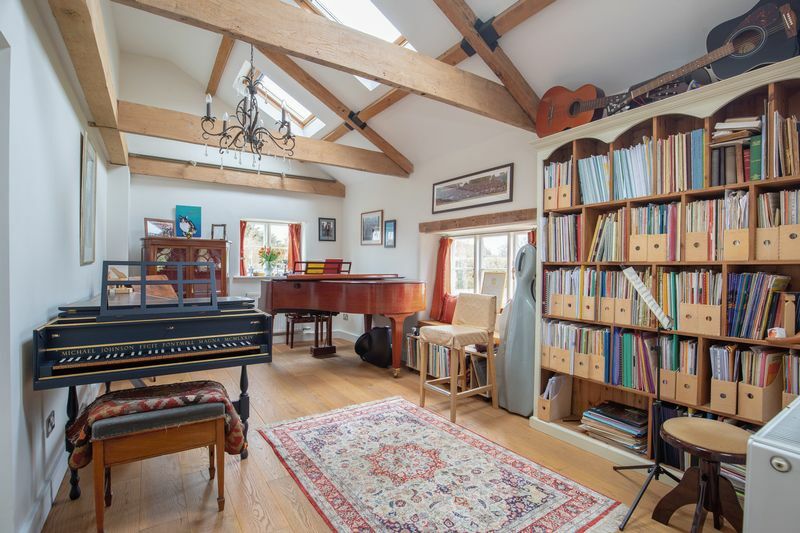 Next to the kitchen is a music room with an oak floor and a high pitched ceiling with beams. 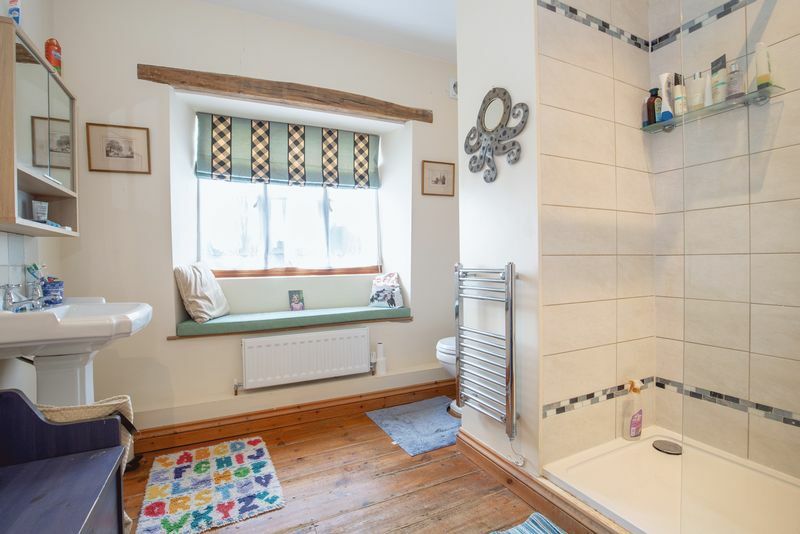 The utility and boot room area has a sink, store cupboard and a cloakroom with a loo and basin. 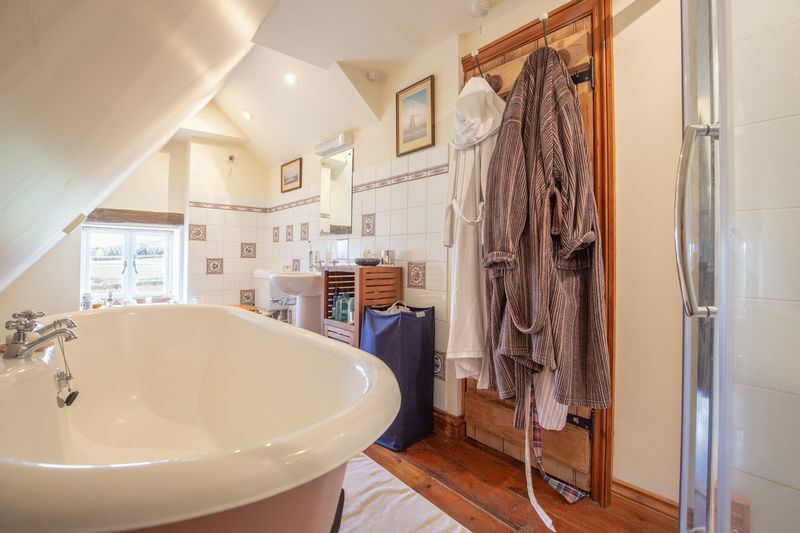 On the first floor are three bedrooms a bathroom and shower room and on the second floor is a large bedroom and a further bathroom with a bath and shower cubicle. The wisteria clad double timber garage stands back behind a gravel parking area with plenty of parking and turning space. 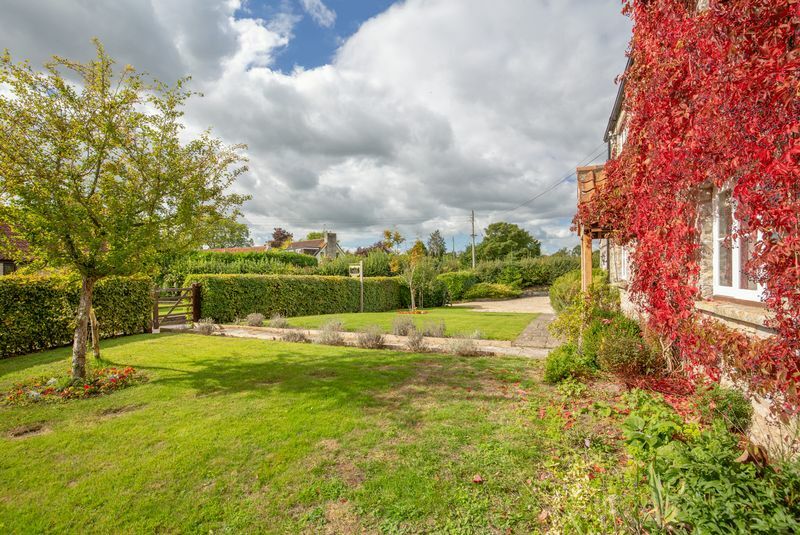 The mature gardens are neat, well landscaped and easily managed with mature hedges giving privacy, lawns, flower beds and paved paths. Beyond the garage are composting areas, a store shed, a fenced vegetable garden and a paddock. 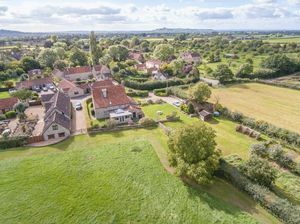 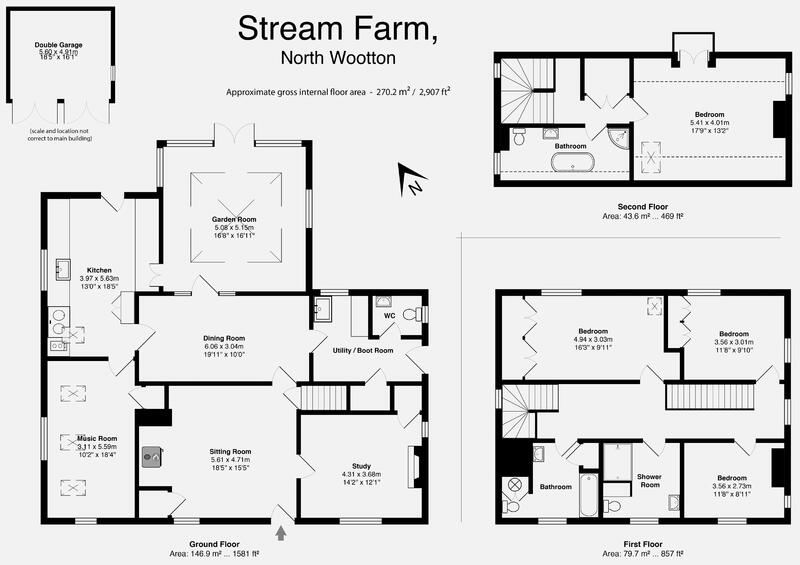 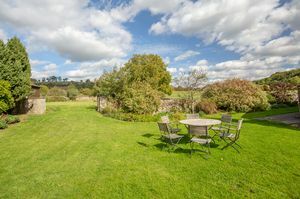 North Wootton lies just south of Wells surrounded by some of the most beautiful countryside in Somerset. 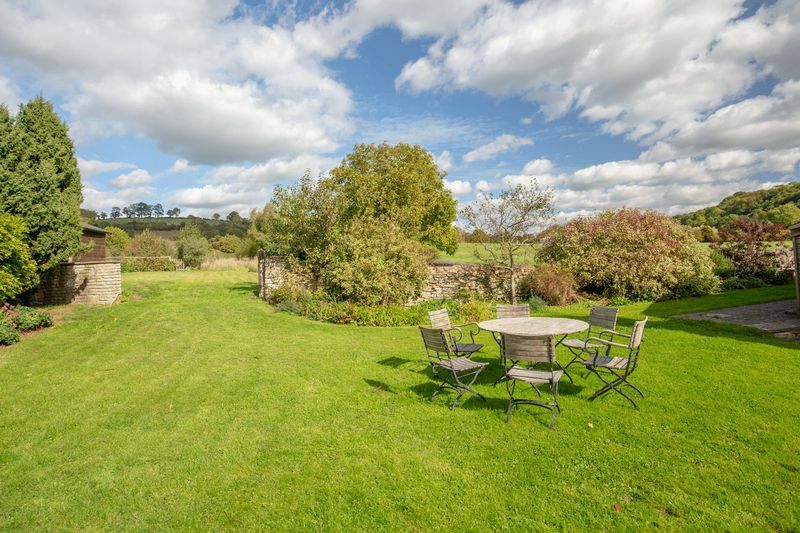 There are lush green meadows and wooded hills- all readily accessible with many footpaths and byways. The village is certainly one of the most popular in the area and has a Church, pub and a thriving community.